A couple of posts ago I was grumbling vaguely about ‘Misfit City’ getting too rarefied, cubbyholed and white. If I’m absolutely honest, that’s probably my default setting – the subcultural narrowness, that is, not the complaining. Part of the point of the blog is to expand my own musical education: it’s a process of broadening my outlook and involvement as a listener. Still, I’m well aware that I frequently travel and listen more like a toy fisherman in a novelty clock – rotating in a small circle around an established axis while flicking out a line for what must often seem more like show than anything else. 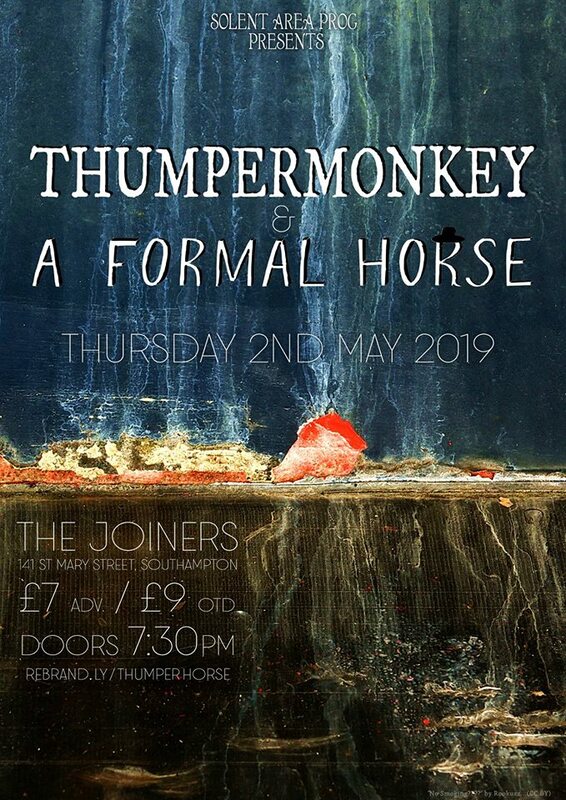 Gratifyingly, a new gig’s hoving into view at the end of the coming week involving two of the acts I’ve previously covered – one outright punk, the other convoluted RIO techprog – rubbing up against hip-hop, textured ‘tronica and avant-soul-pop. On the same day, an indie-slanted choral group duck the spell of Britpop-grunge covers by investigating David Axelrod alongside an Americana band and a showing by Gallo-Anglo lounge-pop queen Lætitia Sadier. Sometimes you don’t have to force or hanker after cross-pollination: sometimes it comes to you, unprompted. Announcements have duly arrived. Up in the headliner slot, Worst World Problems are a new hip-hop collective. 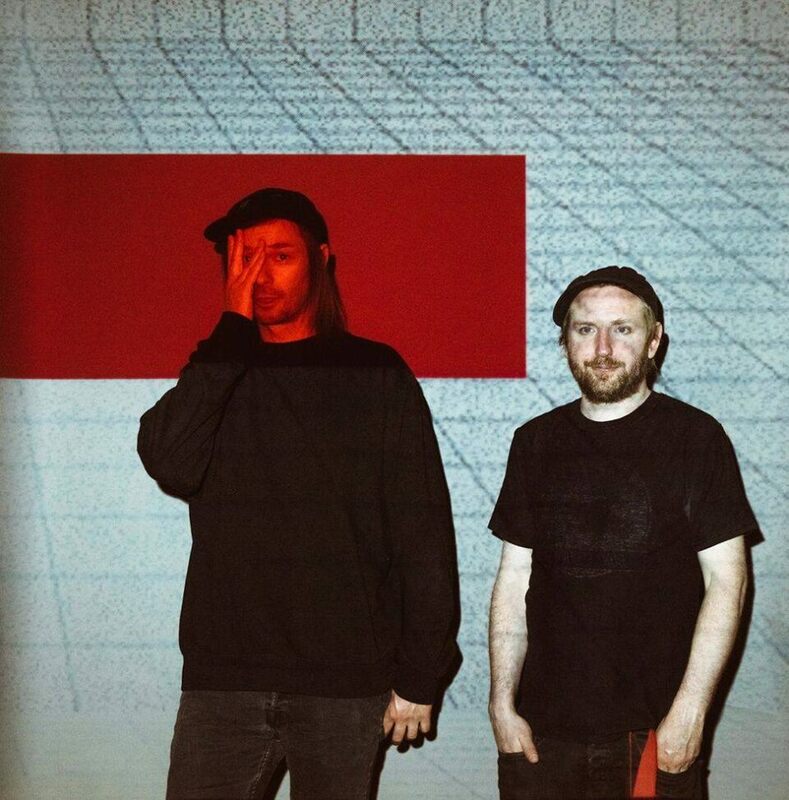 On the evidence of their mini-album ‘Tape One’ their sound’s a blend of chilly ‘80s synthpop nightscapes, data-bus drift and exhausted, hooded, sore-heeled rapping. Inevitable ‘Mezzanine’ and Drake comparisons ensue: there’s that same draggled, overcast feel in the sad ambient production billows and the flow, but WWP take it even further. Their raps feel like echoes around corners, anti-brags, collarbone murmurs from introspective three-quarters-broken boys feeling reamed out and deadened by romantic disintegrations. You feel that at some point they’re going to blow themselves out with a sigh. Augustus is producer/drummer/keyboard player Gus Lobban, who for the past four years has mixed and dispensed cheery ice-cream-flavoured Anglo-J-pop with Kero Kero Bonito, more recently upping the fuzz-rock/stage-school urchin content. I’m not sure what he intends for this solo appearance, but here’s KKB’s recent Only Acting single: pick out his contributions if you can. Here, the breakdown sounds like a literal breakdown: he might still be surfing the shockwave. Anglo/Nigerian/cosmic artiste Tony Njoku writes and sings eccentric, thread-fine, vulnerable electro/sort-of-soul, reflecting a young life spent mostly in “grey areas”. Beneath his papery falsetto, slide-clicking trap beats and silly-putty analogue synthwork align with lyrics about origami swans, seraphim and care-powered balloons. African tin-can beats are sideswiped by colossal dance drones and billowing symphonic modular-synth stackings. Pick-out piano fragments leans against rice-paper inserts of gospel tones. It’s psychedelic, but it’s a long way from the muscularity of P-Funk or The Temptations: Afrodelic in hue, it’s also untrammelled by cultural confines. Imagine a set of constellatory echoes of David McAlmont and Arca; of Wayne Coyne and Frank Ocean; of Jackie Shane and Ahnoni; even bits of Jon Anderson and Arthur Russell. Gossamer and guts. As for Tony himself, his music comes with the feeling that he’s unhitching from as many enforced identities and narratives as he’s clambering onto: as if he’s escaping in plain sight. “Electronic – lo-fi – avant garde – experimental – singer-songwriter – ambient – if there is one thing I am not, I know that it is pop… catchy nonetheless.” The releaser of a series of cassette albums (rising to a prolific swell in 2017), Elsa Hewitt creates assorted soft and mesmeric musical shapes on samplers, loopers, guitars or pianos; or on captured, folded sounds; or with banked and buried voices. It’s electronica of a kind, but without the matter-of-fact construction – this stuff sounds genuinely collaged and soft-sculptural, its cycles and processes and dream-pop sibilances ready for flexion or redeployment at any time. Some of her work is like chiming cartoon birdsongs, some of it like knitted cirrus or a cove-caught sea of whispering mouths. There are plenty of loopers and glitchers about, but few who can make their work sound so organic and subtly potent. 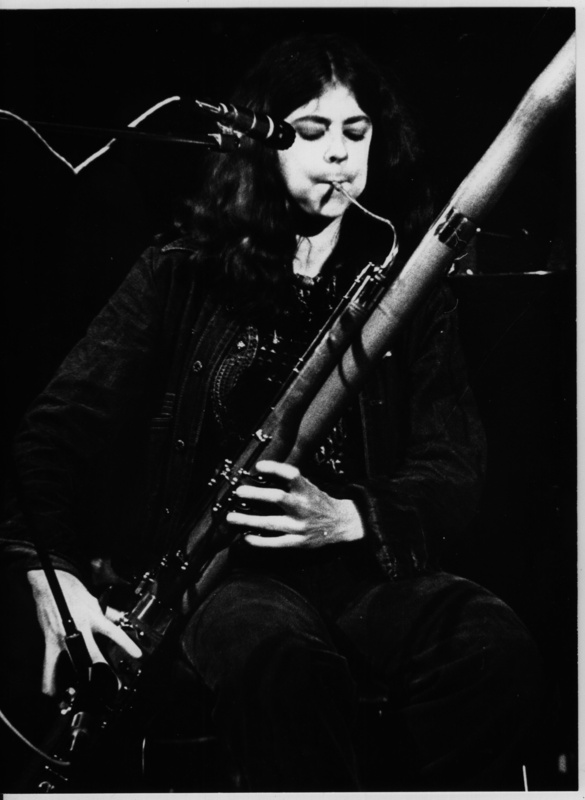 If you missed my original summary of The Mantis Opera late last month, I suggested that they “fused Henry Cow, Battles and early Scritti Politti…. Guitarist, singer and electronics meddler Allister Kellaway… delivers his stirring, challenging constructions via a full electro-experimental synth-rock band, voicing a collection of “avant-garde grumbles” via a multiplicity of synth sounds and colliding pop tones. If this sounds inaccessible and snooty, it isn’t. It’s just that the tunes arrive in complicated cascading splinters, many parts urging in parallel towards an out-of-sight coda, while a dreamily precise atmosphere prevails: avant-prog keeping watch from under a dream-pop veil. As regards emergent punkers Socket, I’ve previously summed them up as “female-fronted firecrackers (who) don’t worry about anything like (angry, disenfranchised boredom and frustration), specialising in a hell-for-leather guitar pelt with capacious Lust For Life drumming and barely controlled chant-yelling.” That’s probably a bit reductive. For a start, they’re female-founded and female-focused as well as female-fronted (with unassuming, supportive drummer Morgan the only bloke in the lineup). Read the ‘Beautiful Freaks’ interview here for more insight into the intertwining (or lack of it) of their band work with their assorted Fine Art and game music studies and the happy melding of schooled and unschooled musicality within the band. I suspect that you’ll get more out of that than you will out of this Bandcamp posting. 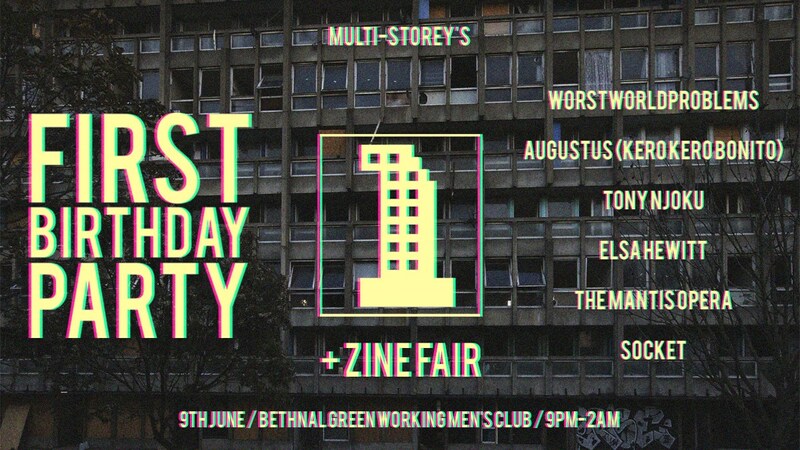 Adding to the texture, there’s offstage artwork, writings and chat from grassroots rock zines/nascent promoters ‘See You Mate – Yeah, See You Mate‘, and ‘Some Might Say‘, and from activist/theatre person Maya Harrison, with more to filter in in due course. Part of the broader HAHA musical empire operating out of central Hackney (also including a studio and an independent record label, HAHA Sounds Collective are a new, experimental choral project and supergroup of art-pop-moonlighters exploring avant-garde arrangements. Led by Victoria Hamblett (singer for NO CEREMONY///), and Cathy Lucas (singer for Vanishing Twin, Fanfarlo and Innerspace Orchestra) with input from Syd Kemp, the choir and fully integrated band also includes Lætitia Sadier (more on her later), Clémentine March, Iko Chérie and various unnamed “past and present” members of Ulrika Spacek, Pollyanna Valentine, Broadcast, Blue House, Viewfinder, and Younghusband. Their first project is a songbook version of David Axelrod’s 1970 jazz-funk cantata ‘Earth Rot’… and when I say jazz-funk, I’m not talking slap-grooves and plastic synth burbles, but the close-harmony vocalising in swagged cadenzas, twang-pocketed funk basslines, a pushing saxophone backed by a battery of brass. Strangely overlooked at the time of its original release on record (apparently down to it being too much of a leap out of Axelrod’s existing groove), it’s a vaulting, stained-glass show of an album: an early venture into pop-culture ecology drawing on Old Testament text and Navajo legend, celebrating the planet and chiding humans for the mess they’re making of it. The music’s now been transcribed for voice, by ear, by Arthur Sajas of Gabelt, ÉPÉE and Syd Kemp (who also serves as HAHA’s conductor). This will be the work’s second performance, following its debut outing at Servant Jazz Quarters in February – yes, that slipped my notice too. This one doesn’t have to slip yours. 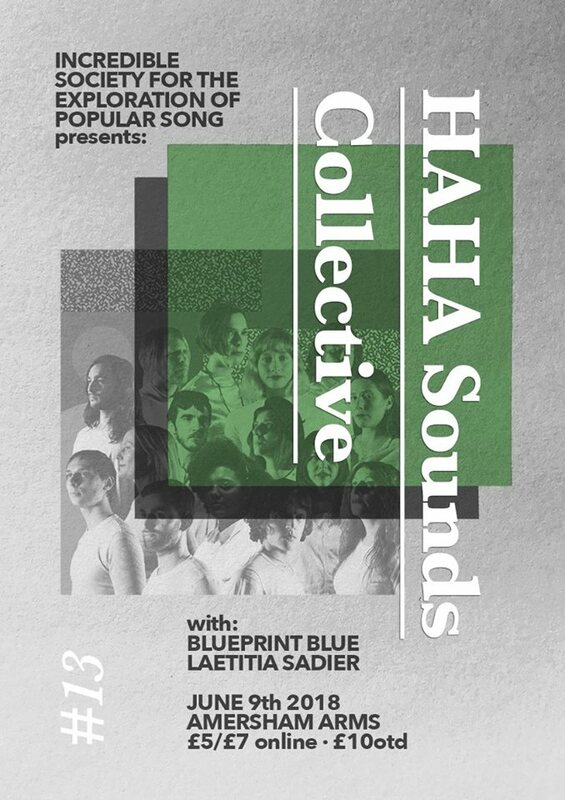 Here’s a brief clip of HAHA Sounds Collective warming up, plus a taste of the original album. Ostensibly an Americana band, Blueprint Blue actually use Americana’s moods, tones and characteristics to add coloration to what are otherwise very British songs about weather, walking and mild disappointments – the kind which might appear on the mimsier kind of folk-pop album, or which would have been half-smothered in noise or feedback on first-generation shoegazer records a quarter-century ago. Like a mixed bag of British players before them (including Gomez and Mark Knopfler, but more recently Acadian Driftwood and Horatio James) they’ve certainly mastered the sonic signifiers of American roads and roadhouses; but that’s not enough to fully inhabit the form. The trouble with Americana is that the further you are from the situations which shaped its tones and subjects (and an ocean’s breadth doesn’t help with this), the more it starts sounding like a tinkle in a hollowed-out theatre. If you’ve got to pay tribute you’ve also got to pay dues, or fake it more convincingly. Songwise, at least, Blueprint Blue need some more grease on their axles; some more heartache and heartstring damage; some more blown-away shacks and more chances to sit dripping angry tears into their johnnycakes. Otherwise, it’s going to be a life of striving to be just a bit more like Mojave 3. There may come a time when Lætitia Sadier isn’t associated, first and foremost, with Stereolab. I hope so. It’s not that there wasn’t, or isn’t, plenty to admire about her former band – just to pick out a few things, there was their unabashed musicality and willingness to draw on broad varieties of tone or reference; their matter-of-fact bilinguality and ready play of ideas; and the fact that they actually managed to revisit their varied roots and to somehow advance and transmute them (something of a holy grail achievement for many musical projects, but rarely achieved). But I, for one, am glad that her post-‘Lab work (with Source Ensemble and others) has unshackled her from that post-Velvets/post-motorik/brainiac-garage pulse: the rhythm cliche that blights so many otherwise promising acts; presses them out into two unforgiving dimensions; makes those who should be innovators and developers into enmired followers. Lætitia’s set is either an evening opener or a middle-of-the-bill event, so I don’t know whether she’s brought along the Source Ensemble for accompaniment (for all I know, many of them may be in HAHA), or whether this is going to be a chance to hear her alone and independent/unencumbered. Either way, I hope it offers us the chance to hear her as she truly is now – a belatedly great French folk singer, although one neither bonded to the obligations of traditions or the past, nor restricted from broader conceptual and textual pallettes. In effect, an embodiment of a folk impulse reborn into the current age – with all of its opportunities for research and reflection and fresher global instincts – and let loose to create.